Former politician and Liberal Party member Glenn Chong said that he disagrees with the notion that there was no cheating in the 2016 elections. This statement was in answer to a Rappler article by JC Punongbayan who claimed that by examining the election data, Vice President Leni Robredo could be proven the real winner. Allegations that Robredo and the Liberal Party to which she belongs, tampered with the election results. Just after the elections concluded, her competition, Bongbong Marcos filed an electoral protest. "In a vain attempt to mislead the public, he laced his article with graphs and mathematical calculations from his so-called megamix. But relying purely on numbers is simply not enough. To be conclusive, one needs to drill down further and uncover the underlying facts and circumstances that produced the data. " Chong wrote, referring to Punongbayan's article. He listed down and rebutted the claims made by Punongbayan. 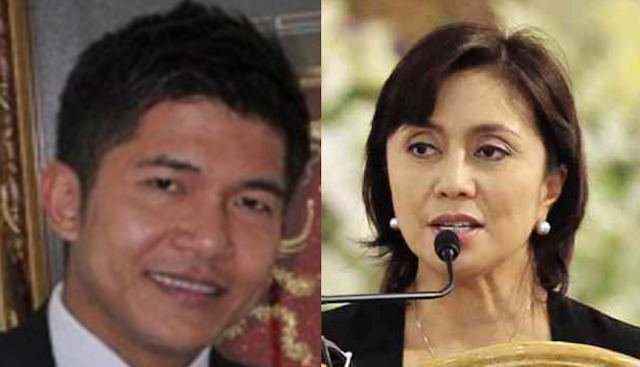 Punongbayan claimed that the growth in Robredo and Marcos' votes were much alike. In short, he claimed that it was a very close fight wherein Robredo won by accumulating small gains over time. "An examination of the transmitted results will show that the after the system was manipulated by election officials, the undervotes for the vice president suspiciously rose by a whopping 73% in the Negros Integrated Region and by 62.5% in the Autonomous Region in Muslim Mindanao, both of which Robredo won heavily." he wrote. Chong instead claimed that what could have happened was that valid votes for BBM were transferred to undervotes with the use of automation. This was to prevent him from gaining huge margins per precint. Punongbayan claimed that Marcos' votes just arrived earlier than Leni's, explaining why the votes for Robredo increased rapidly hours before the finalization of the results. Chong traced the votes and claimed that the case is just cannot be explained without pointing at cheating. "Delaying the voting or transmission at the precinct level is not impossible considering that Bicol and Regions VI and VII, plus throw in the ARMM, are under the control of the ruling Liberal Party. Thus, it is not surprising that the delayed transmissions are from areas controlled by Robredo’s party. And equally not surprising is the fact that the manipulation of the system came a few hours after the start of the vote tally." he wrote. "BBM built a lead of 943,045 votes when roughly 58,836 precincts transmitted their results. Robredo unbelievably wiped out that lead in just roughly 21,925 precincts transmitting late and built her winning margin in the last 11,749 precincts. In other words, Robredo won heavily in the late precincts by almost twice as much as BBM won in his bailiwick precincts. From these facts, the following are clear" he wrote. He commented on how Punongbayan asserted that the "data don't lie." "His conflicting statements can only be harmonized this way… while the data don’t lie, the purveyor of the data can very well make a lie." he said.